Fans around the world joined the chorus for Bohemian Rhapsody, taking the top spot on the worldwide chart with $122.5 million and an early total of $141.7 million. US receipts were good for a scintillating $50 million, beating industry expectations and setting Rhapsody up as an unlikely early holiday season star. Egyptian-American actor Rami Malek leads the film in his role as Farrokh Bulsara, a man better known to his legions of fans around the globe as Freddie Mercury. 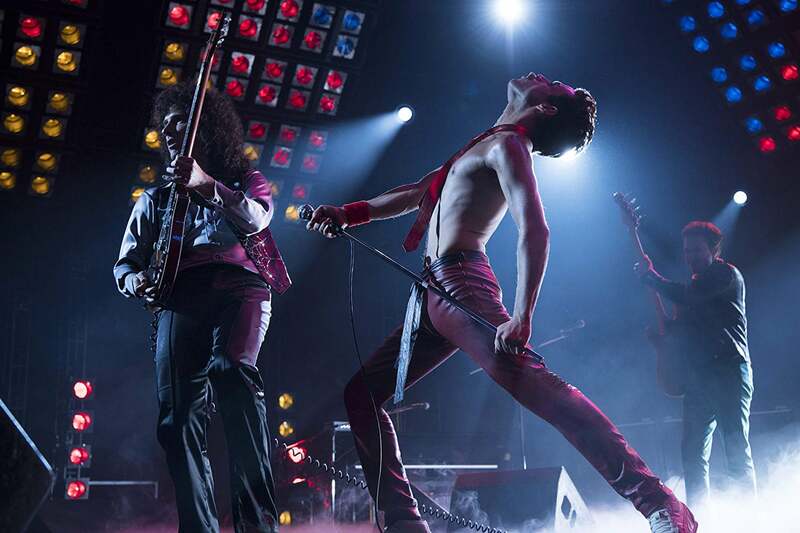 The film largely focuses on Queen’s legendary front man, charting his struggles as a slightly disfigured immigrant who wanted to be a rocker, a gay man who wanted to be an idol, and finally as an AIDS victim in the early and deadliest years of the disease who above all else wanted to live. Plenty of screen time is also devoted portraying the story of the band as a whole. John Deacon and Roger Taylor, two of the group’s three surviving members, as well as their longtime manager Jim Beach, served as producers on the film. Something seems to have gone right as audiences filled theaters just as they had done decades ago in the world’s biggest stadiums to see Queen’s particular brand of Rock and Roll showmanship. Overseas territories netted $72.5 million. France was its top market at $7.7 million. Rhapsody earned number one spots in 50 other territories and dropped just 13% to keep the top spot in the UK. All of this cast a long shadow over number two performer The Nutcracker and the Four Realms, leaving it with $58.5 million on its global debut. Disney spent lavishly on this star studded, effects heavy adaptation of E.T.A. Hoffman’s 1816 novel The Nutcracker and the Mouse King, a story that was shortly after made much more famous by Tchaikovsky’s seminal ballet. US receipts made up $20 million of the total. With a production cost of $125 million, there will not be any saving graces from the East: growing concerns about sustainable expansion left Chinese audiences unwilling to turn up in the numbers they normally do for Disney films. Nutcracker only made $12 in the Middle Kingdom and $2.1 million in the UK, another usual fairy tale stronghold. It did, however, earn an impressive $5.5 million in Italy, making that it’s unlikely second biggest foreign market to date. No.3 in the domestic charts was Tyler Perry's Nobody's Fool, starriing Tiffany Haddish. It generated $14 million. With it’s namesake holiday falling midweek Universal’s Halloween, with Jamie Lee Curtis back in the iconic role of Laurie Straude, had another strong showing this frame, taking $11 million at home and $18.3 million abroad in its third week in theaters. At $229.8 million worldwide it’s now the highest earning of the 30-year-old franchise’s 11 films. A Star is Born trailed closely at $25 million worldwide and now sits at a global tally of $293.9 million. Venom meanwhile reached $541.5 million globally. With continuing momentum at home and abroad it should cross $600 million by the time it exits theaters, even if its China launch this Friday goes as poorly as the country’s other major openings in the past couple of weeks. On the domestic front, major new releases for next session are The Grinch, from Universal, and Sony’s The Girl With The Dragon Tattoo sequel The Girl in the Spider’s Web. Zombie D-Day flick Overlord will join them, along with Hugh Jackman led political drama The Frontrunner.